A yet to be identified persons have killed a Nigerian soldier at Ajakurama community in Ovia South West area of Edo state, southern Nigeria, the Nigerian army has confirmed. 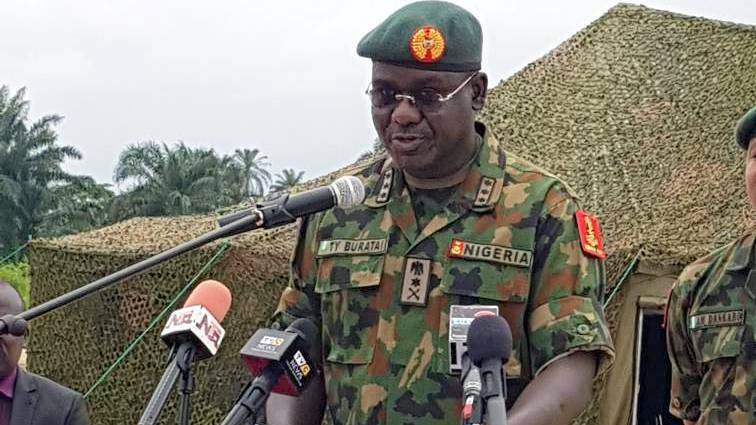 Spokesman for the troops in the zone Maj. Ibrahim Abdullahi confirmed the incident on Sunday. According to the army official, the soldier, whose name and rank have yet to be disclosed, was killed last Friday. CKN News had learned that the soldier was killed and buried in a shallow grave. He said, “Yes we have deployed some officers to Ajakurama community where one of our soldiers was killed by yet-to-be-identified persons. But he urged the villagers not to be afraid of the presence of military men in their midst, asking them to go about their normal, legitimate duties.